During the last two decades there has been considerable growth in the development of electrospray ionization mass spectrometry (ESI-MS) as a practical method in the study of reaction mechanisms. This method allows the interception and characterization of key intermediates, either as transient species or as protonated/deprotonated forms of neutral species by API-MS. The outstanding features and advantages of ESI-MS make it one of the most suitable tools for the fast screening of intermediates directly from solution, providing hitherto unavailable chemical information to organic chemists. 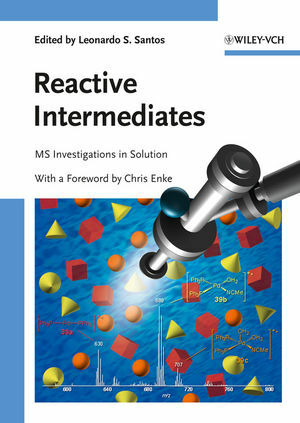 This monograph provides an overview of the mechanisms involved in ESI-MS, the historical perspectives before looking further in-depth at specific reactions and intermediates. Written by researchers in the field, this book is an unique resource for the understanding of this cutting-edge technique. Leonardo Silva Santos received is PhD from Unicamp University, Brazil, in 2003, working under the direction of Dr. A.R. Pilli. Following his PhD, Leonardo took up a postdoctoral position at the Thomson Mass Spectrometry Laboratory at the University of Campinas, where alongside Dr. M. Eberlin he established ESI-MS-based mechanistic studies in Brazil. He spent a time working as a Postdoc in the group of Jürgen Metzger at the Carl von Ossietzky University before moving to Chile. He is currently Full Professor at the Institute of Chemistry and Natural Resources at Talca University (Chile) and established the Laboratory of Asymmetric Synthesis. He is involved with the establishment of the Fraunhofer Institute in Chile and will head the chemistry group associated with the use of nanotechnology in agriculture. Professor Santos has published over 70 articles in the last four years, holds two international patents and has received numerous international honors and awards.